Student loans are one of the main financing options but are not the be all and end all when it comes to financing education. There are a number of different loans and grants that may be available to students depending on their circumstances. Student loans are a financing method designed to help students pay for their courses, living costs and course books. The downside of student loans is that they do leave students heavily in debt by the time their course ends. Student debt is continually increasing and estimates show that students are incurring debts of £5,600 for every year that they study. A four year university course can leave a student paying off £22,400. Alternative financing to student loans may be the only way for some students to finance their education. Student bursaries are available to certain students through colleges and universities. Bursaries should be available to students who are receiving Special Support Grants or Maintenance Grants and paying maximum student tuition fees. Bursary payments can be paid directly into a student’s bank account. Bursaries may also be provided in the form of discounts towards student accommodation, books and transport. 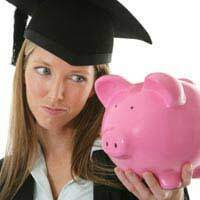 Student bursaries do not have to be repaid but it will be up to the educational institute to decide the amount available. Many universities, colleges and charities will provide student scholarships. Scholarships are usually provided if a student falls into a certain category. Scholarships are based on a number of factors including student income, location, educational grades and the awarding body’s own stipulations. Student scholarships are not repaid to the awarding body. Over £250 million per year is available in scholarships and many of these awards do go unclaimed. Full time students may be able to receive grants known as Special Support or Maintenance grants. These grants are in addition to student loans and are awarded if certain requirements are fulfilled. These grants can be worth £2, 765 per year and do not have to be repaid. Special support grants will usually be awarded to students such as single parents or student parents who have a partner who is always studying. Disabled students may also be eligible for special grants. Many students do finance their education by working. This is one of the best ways to decrease the amount of debt incurred through education. Part time work during the evenings or at weekends can significantly reduce student debt. Is important not to allow studies to deteriorate due to employment and this can be one of the downsides of financing education through employment. Students who live in large cities and towns or in areas with seasonal work should be able to easily find part time employment. Students who are considering applying for a grant or bursary should remember to apply as early as possible. Educational institutes do have a budget for certain grants and bursaries, and this can be depleted very quickly in the year. If applying to a charity, ensure that a clear, concise proposal is drafted explaining exactly how the money will be used. Applicants are usually free to re-apply for an award if turned down initially. It may take a number of applications to achieve success. Student debt levels have become a serious problem in the UK. Many graduates will find themselves burdened with heavy debts once they have left college or university. Students should always contact financial aid departments to enquire on the funding available. A number of grants, bursaries and scholarships can go unclaimed each year. Student union advisory services can also give information and advice on financial issues.